It turns out talking to a co-worker about the stresses of work could lead to romance. People spend a lot of time with their colleagues. This can lead to strong friendships, and sometimes romantic relationships. There is still a stigma about dating someone in your office, so people tend to be secretive about it. But there are other issues to consider too, such as whether you truly are into each other, or whether it’s simply escalated by your proximity. Ultimately, it’s important to recognise the difference. Work relationships are a funny thing. If you have a regular 9-5 job, you likely spend more hours of the day with your colleagues than you do your other friends, flatmates, or even your spouse. When you tally up all that time, and the fact it takes about 200 hours to become best friends with someone, it’s no surprise many people form close bonds with their workmates. About 17% of people also have a “work spouse,” who they constantly message, talk to about the stresses of work, and hang out with. Recent research from totaljobs found that 22% of people meet their actual romantic partner at work, too. That’s compared to 13% meeting online, 18% meeting through friends, and 10% finding each other on a night out. He added that working in an office gives you the opportunity to get to know someone in a way that you don’t manage to as easily on “swipe right” dating apps. The totaljobs survey of 5,795 UK workers revealed that two out of three people would be up for dating a colleague, while the remaining third would never dream of it. The main reason they gave for being wary was that they just didn’t think romance and work should mix. Among many people there’s a fair amount of stigma attached to dating someone in your office, which is probably a factor in why 76% of those surveyed said they would keep their office romance a secret. “There is a long-standing rule that you should not date your coworker,” Brudö said. “The reasons are many: you risk losing your job, becoming uncomfortable at work, or creating office drama that could hurt your professional reputation. There are other things to consider, too. About 60% of those surveyed said they felt the pressure to act more professionally when they were in a work relationship, and 51% said they were concerned about gossip. One in three people said they felt judged by their coworkers for their relationship, one in six got made fun of, and one in 10 were even discriminated against as a result. The survey also found that woman dating their manager is more likely to take a career hit than a man dating their manager in terms of promotions, salaries, and bonuses, and even relationships with other colleagues. Despite these pressures, a workplace relationship is relatively straight-forward. But they don’t always work out the way you planned, which can muddy the waters. For instance, one individual might be more invested in the relationship than the other — that’s if it turns into anything at all. 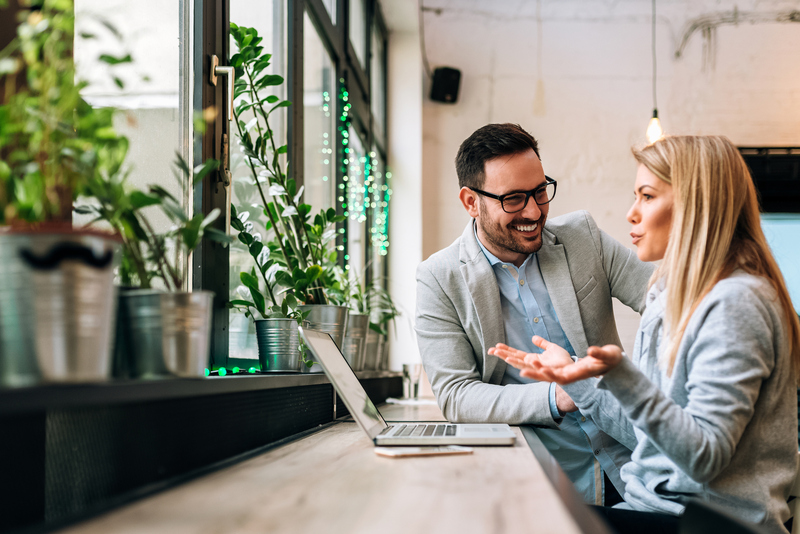 As councilor Gregory L. Jantz points out in a blog post for Psychology Today, the intensity created in a work situation can mirror the intensity we experience in sexual relationships — leading to mixed messages and perplexing behaviour. Spending more time together tends to break down defences between people faster, and that doesn’t necessary result in romantic intimacy. But, as Jantz says, sometimes one party may loosen up too much, allowing a boundary to slip. “If both partners are not careful to continually reestablish boundaries to keep their relationship within a certain framework, these ‘slips’ can lead one party to begin to view the partnership as more than just a work connection,” he writes. In other words, it is important to be clear about your boundaries, and work out what you really want from a work relationship — are you just friends, or is there something more? Sometimes the lines can blur, and it’s tricky to work it out. But it’s better to think it over before something happens that you might regret.